Mirror polished aluminium sheet for solar energy has high strength, high reflectivity, impact resistance, wear resistance, aging resistance and better environmental protection performance. The polished aluminium mirror sheet can be bent, stamped and formed without cracking, stripping and wrinkling, and the protective film on the surface is facilitate the user’s processing. 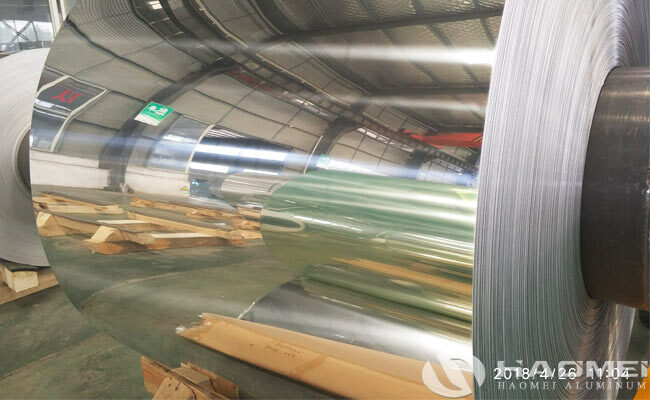 Outdoor grade mirror polished aluminium sheet with high reflectivity is suitable for applied in solar thermal power generation, solar energy gathering appliances and reflective products for general outdoor use. The special reflective effect of polished aluminium sheet 1060 1100 3003 has also been adopted by the solar industry. The solar energy materials are mainly divided into solar reflectors and solar collector panels, the solar reflectors adopt outdoor grade mirror aluminium sheets with a reflectivity over 85%. The usage of mirror polished aluminium sheet can reduce the overall weight of the mirror system, reduce the investment in systems such as brackets, and reduce the overall investment in the light field system. 3, It is especially suitable for the construction of medium and high temperature solar collectors on the roof of buildings, which solves the drawbacks of the inability to adopt traditional collector plates due to load bearing problems.